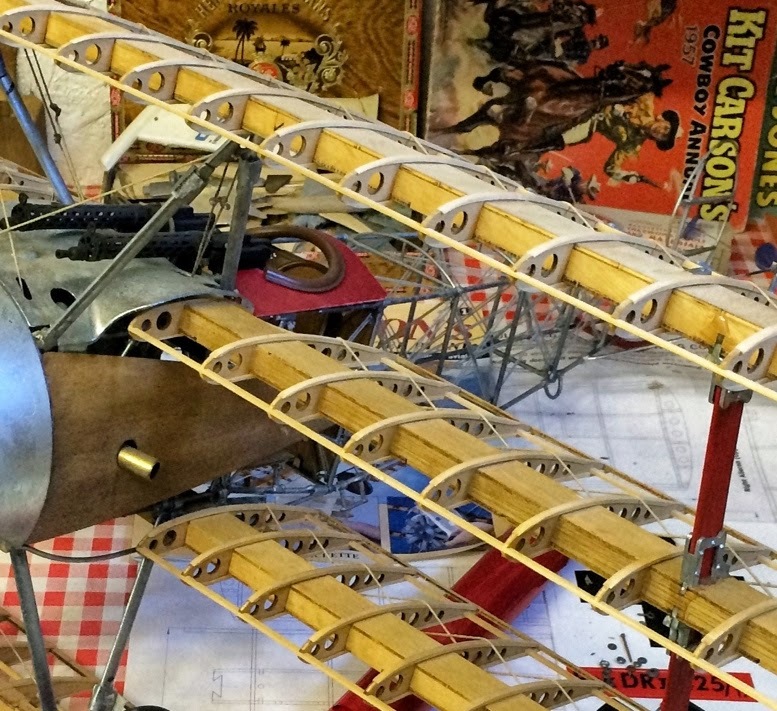 Produced in the first place as a true ‘museum grade’ replica, the absolutely gorgeous Triplane is once again becoming generally available. As before, the kit combines a high-detail engine, airframe structures and control systems, all produced in a profusion of mixed materials. Japanese Cyprus woods, soft metals, brass (and plastics!) are all used for this what’s-under-the-fabric kit. 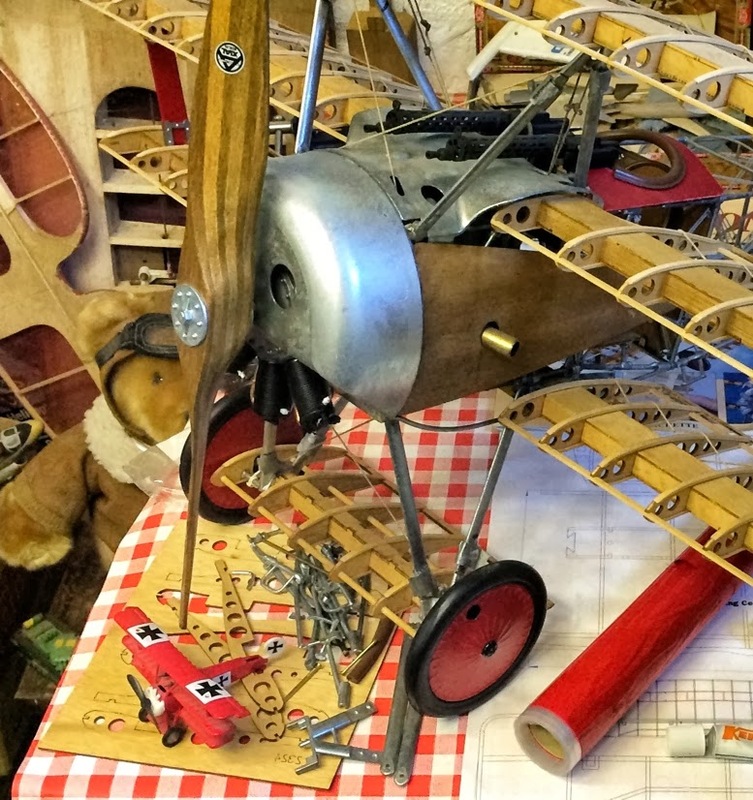 The Triplane (‘Dreideker’ in German) is not something you will put together in a night or two, as there are 857 components to assemble. 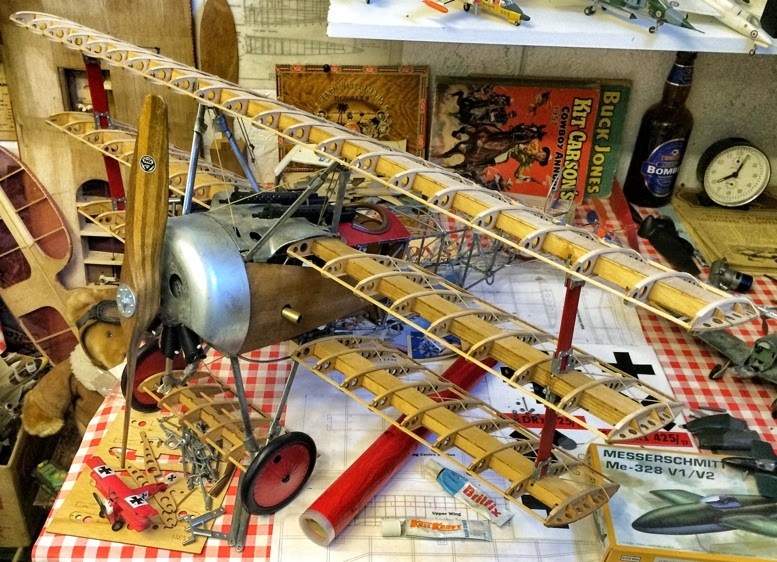 The sheer size is another factor - do you have room for a World War I fighter with an assembled wingspan of some 838 mm (33 in)? Let’s hope so, because it really is a beauty - witness the example we saw (below) at the Flixton Air Museum recently. Is it completely accurate? Well, some researchers claim there are some inaccuracies, but the model itself is so attractive that we can live with minor discrepancies - or indeed, make any necessary changes. As for finish, you could spray the fuselage framework with a metallic finish, such as Tamiya AS-12 bare metal shade. The woodwork would benefit from a dusting of satin varnish spray. Not so long ago, the Hasegawa 1:8 scale Fokker Triplane was a rare commodity, a fact reflected in some of the prices being asked - see the pic below on eBay. 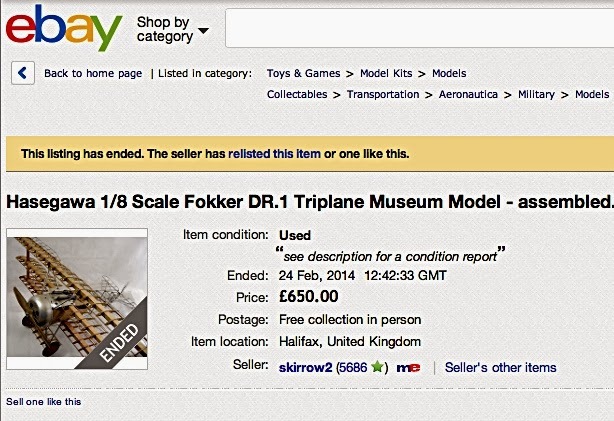 Mind you, this was for an assembled model, so for collectors, rather than model makers, that’s probably a fair price. But if you want to build this big, beautiful bird from the box, it’s now available at a kit price of around two-thirds this. 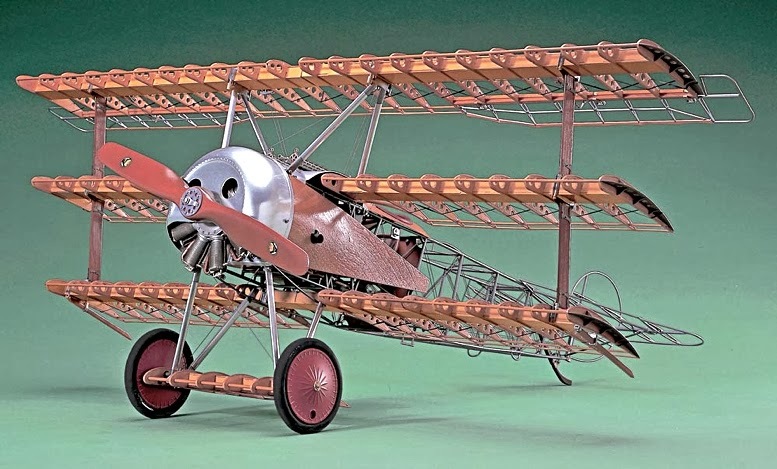 The 1:8 scale Hasegawa Fokker Dr1 Hasegawa Triplane may be pricey, but has to be recommended for its sheer beauty and wow factor. It's available below. If your preference is for other scales, ready-builts, or even flying models, there are some excellent alternatives below.